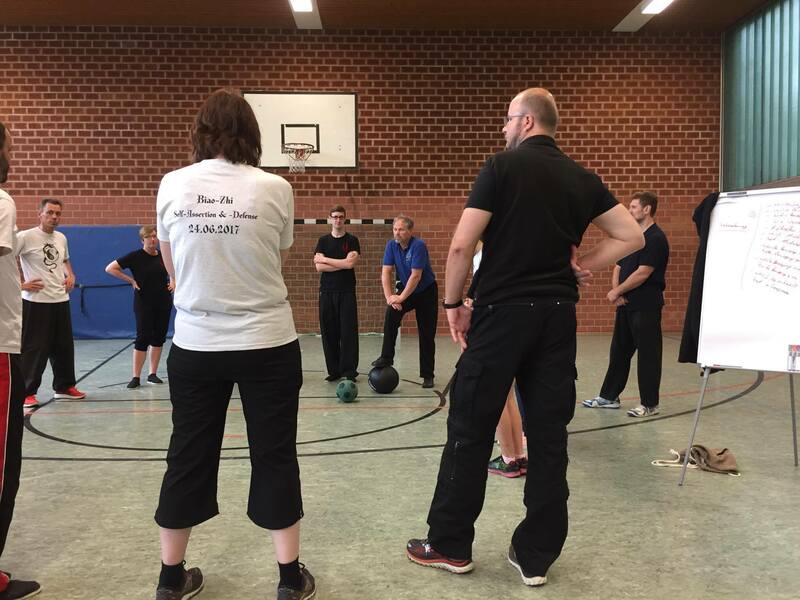 Workshop in Lünen Westfalia (Biao-Zhi Selbstbehauptung durch Verteidigung e.V.) 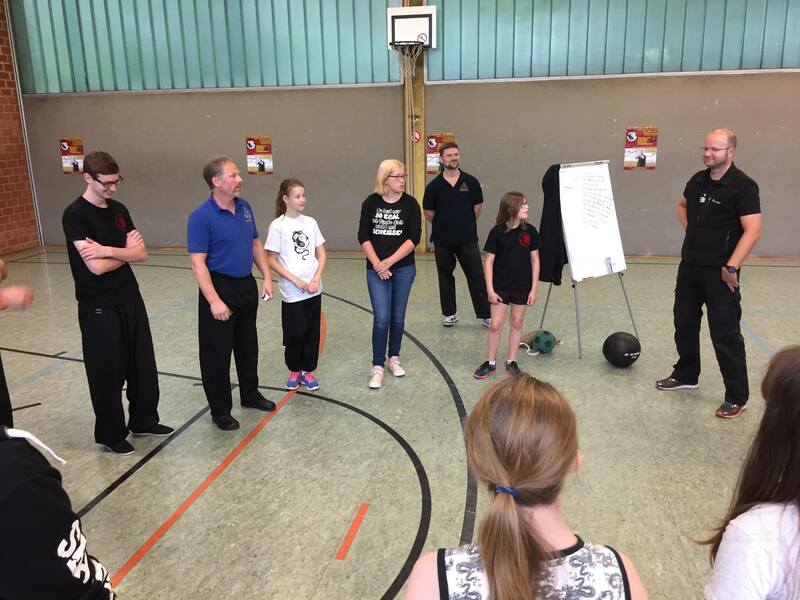 24.06.2017 – teaching that martial art terms soft/hard are confusing and misleading. These terms are an expression of human perception and are not conducive for better understanding of what is necessary to improve efficacy. 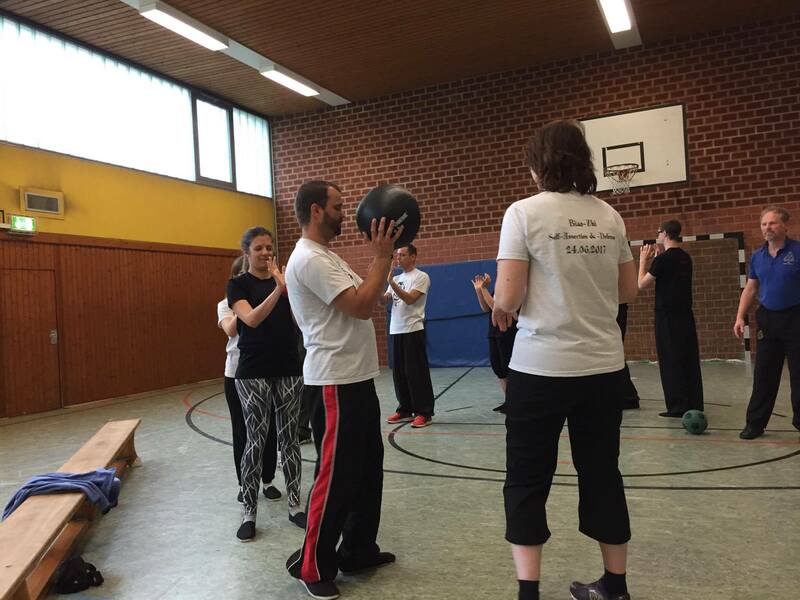 The participants were made to feel the difference without any martial technique. 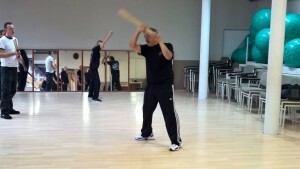 Particularly in Asian martial arts the term 'Family' or 'Family style' is maintained even today. Wrong expectations due to the false setting of the terms provide human misunderstandings at large. 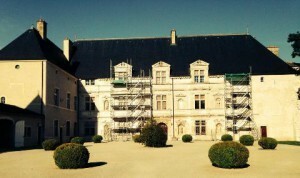 This article will help to bring more transparency to the terms and to cleaner set the correct perimeter. To all combat sportspersons/martial artists – if the visual perception is the foundation of the fighting strategy, then this test shows the limits of all that, what is being presented in films or other media in an unrealistic fashion. Any intelligent fool can make things bigger and more complex... It takes a touch of genius - and a lot of courage to move in the opposite direction." The concept of philosophy from Wikipedia: [In philosophy (Greek φιλοσοφία philosophía, Latinized philosophia, literally means "love of wisdom") is an attempt to interpret and understand the world and human existence. From other studies it differs in that it is not limited to a particular area or a particular methodology, but is characterized by the nature of their problems and their particular approach to their various subject areas.] Nowadays the concept of philosophy is likely used to not only represent certain ideologies, but also (even ideologically) to mediate or to spread, so that many people pursue and live the same philosophy (the negative effect such as power control, etc. are not an issue here!). In general, philosophy takes only place in the spiritual / mental realm of man. In the classical martial arts of Asia the concept of philosophy plays an important role ever since. The best-known philosophies from this area are Buddhism, Taoism and Confucianism. The original task of philosophy here is to integrate craftsmanship or technical realizations into a greater mental concept, whom everything follows (analogous to the above explanation from Wikipedia: the philosophy of martial arts is the phenomenon of interpreting combat and make it understand in order to deduce fundamental wisdom). We are happy about this indirect acknowledgement our constant developmental efforts! 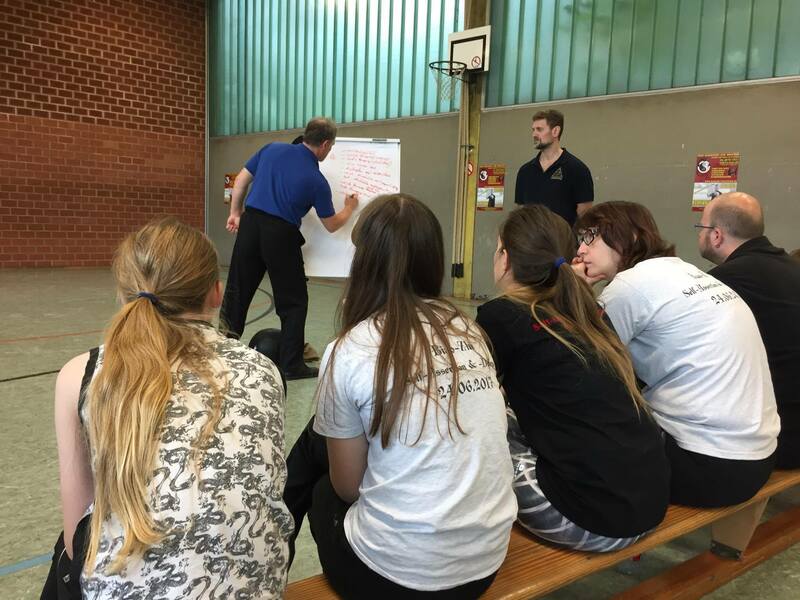 What is different with the IUEWT training concept? 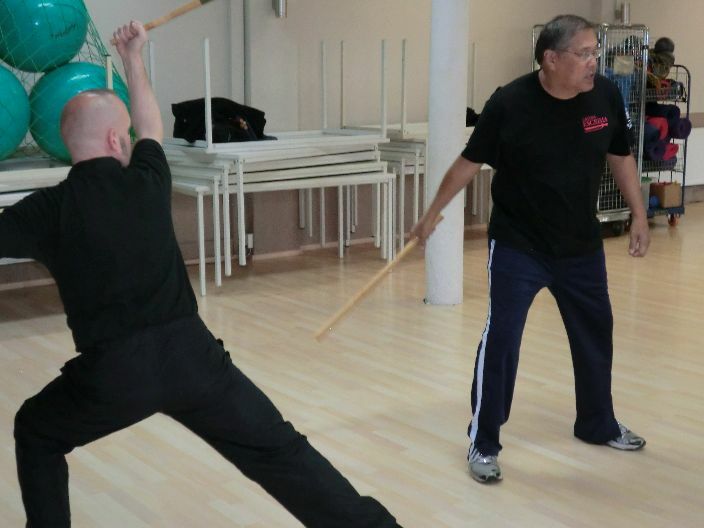 The IUEWT teaches two logical martial arts from different cultural backgrounds: Wing Tsun, which is native to China, and Escrima, which has its roots in the Philippines. 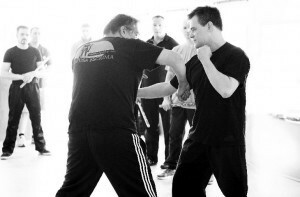 However, both martial arts despite their cultural different income have something in common: both martial arts aim for the logical efficiency of the body as a basis for an optimal self defense. With only a few exceptions, the combat sports or martial art styles try to distinct themselves by a maximum by highlighting their uniqueness in a particular area. 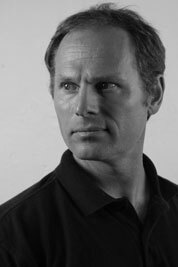 As the combat sports or martial art styles are exercised by real humans, it is also the human factor of an intended uniqueness, which serves as a strong driving force to achieve a superior position in front of a broader public. 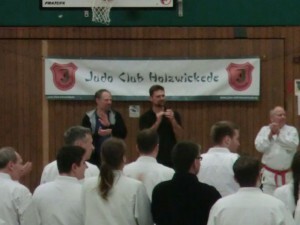 At the same time, the presentation of the uniqueness in correlation to the exercise of a combat sports or martial art discipline are also supposed to indicate a certain supremacy on a personal, social, or economic level. New styles emerge due to this strong demarcation, because any deviation from a previously existing uniqueness represents a new stylistic variance, hence a new style. As constantly young people come into this play anew, they also have a tendency toward achieving uniqueness and so new styles are created, by minimal or maximum differences to the previous form. A little Christmas inspiration....Merry Xmas and a Happy New Year 2014 to all! Une petite inspiration pour Noël...joyeux Noël et une Bonne Année 2014 à tout le monde! 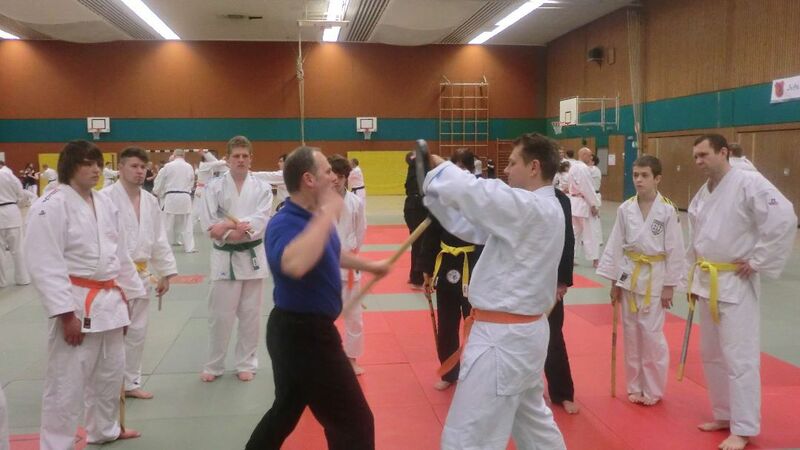 Saturday, 16.11.2013 - the sports hall of the Clara-Schumann-High school is filling up with about 60 participants around 15:00 for the end-of-the-year-seminar of the German Jiu-Jitsu Union Association. The special thing about this year: three different experts on three different disciplines teach at the same time - Jiu-jitsu, Escrima and classic boxing. Saturday, October 19/2013 - the open Escrima seminar with Grand Master Rene Latosa opens slowly, because there was some misunderstanding on the start time information. The participants of the seminar consisted of five different teaching-organizations, by which the term ‘open’ kept its level from former years. Videointerinterview with GM Rene Latosa part 5 online! Videointerinterview with GM Rene Latosa part 4 online! Videointerinterview with GM Rene Latosa part 3 online! Videointerinterview with GM Rene Latosa part 2 online! Videointerinterview with GM Rene Latosa part 1 online! 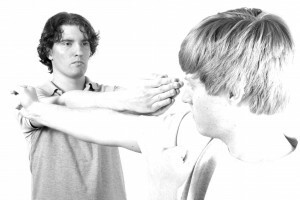 Chi-Sao (translated ‚clinging arms‘), an exercise developed from traditional fighting arts is seen from today’s neurophysiological view is the only exercise that can really program basic behaviorial changes. The sublime objective, to learn and establish control over oneself and by this over the opponent is a process that needs decades of practice if the objective is put very high. 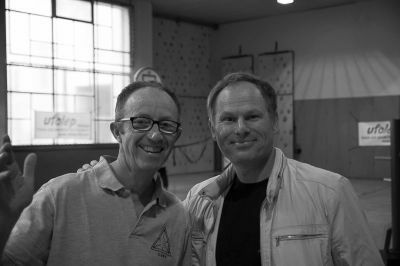 The blog has been launched...hello and welcome to all, who are interested in frequent news and articles about Wing Tsun, Escrima and general topics, that will be published here. The Blog will replace our newsletter, that was sent out for years and which has been very much appreciated by the public. Objective feedbacks from readers will also be published, as well as objective incoming articles. Nevertheless allow myself a personal evaluation, if incoming articles will be published or not in order to comply our strict quality criteria. For documentation the first articles are being published as a start.